Naturopathic oncology helps you take a full-frontal approach to beating breast cancer and reclaiming control over your life. The big ‘C’ can be excruciatingly scary, difficult, and painful. As you literally battle for your life, it’s important to surround yourself with the best team possible. Working in conjunction with conventional cancer treatment, your Naturopathic Medical Doctor (NMD) can provide supplemental support to reduce the impact of symptoms, speed recovery and prevent recurrence. Naturopathic Medical Doctors (NMDs) trained in integrative cancer care work in conjunction with conventional cancer treatments. This means your NMD partners with your Medical Oncologist, Surgeon, and Radiation Oncologist to not only help you beat cancer, but improve your quality of life. Do Alternative Breast Cancer Treatments Work? Your naturopathic oncologist does not serve as a replacement for your conventional breast cancer treatment. Rather, your NMD acts as part of your cancer fighting team. Using a share protocol for your medical records, all you providers will have access to your full medical history and treatment plan. This helps you receive the highest possible standard of safety and optimal treatment. 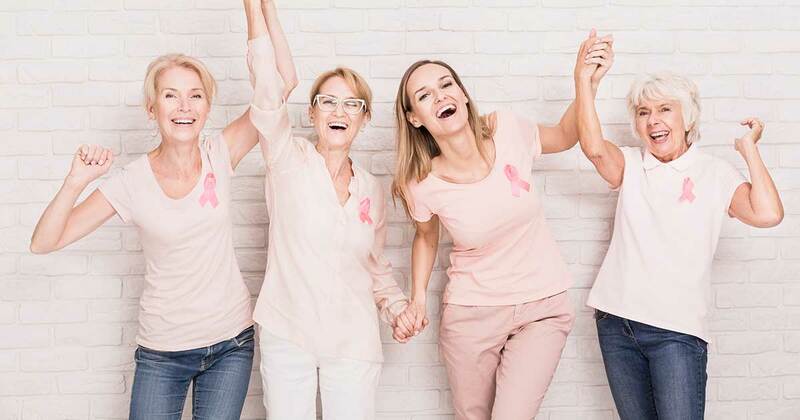 As with all naturopathic medicine, NMDs specializing in oncology take a holistic approach to your health and wellbeing while you battle breast cancer. Your NMD uses evidence-informed guidance to help you make strategic changes to your lifestyle and diet so you can improve the effectiveness of your treatment.